Get at all those hard-to-reach spots! Handy helper expands from a compact 8" long to a generous 27" long. Sturdy, silver tone metal with easy grip black rubber handle. 1¾"w.
I'm always itching when I sweat largely due to my diabetes. 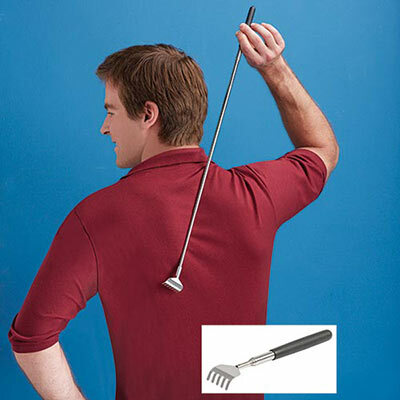 However I also have arthritis and this item is great for moving an object that ends up in places your arms won't reach. Love it.